Pakistan Tehreek-e-Insaf chief Imran Khan declared his party's victory in the Pakistan general elections. He is expected to be the country's new Prime Minister. "The International Congress of Parliamentary Women's Caucuses" will be held at Dublin Castle, Ireland during 9th and 10th of September 2018. The event will be attended by an estimated 300 delegates from over 27 countries. This conference is being organised by the Irish Women's Parliamentary Caucus (IWPC), a cross-party forum for female parliamentarians within the Irish parliament. He is known as the 'Missile Man of India' for his work on the development of ballistic missile. He passed away on 27th July 2015, while delivering a lecture at IIM Shillong. Tamil Nadu based political party Dravida Munnetra Kazhagam (DMK) President M Karunanidhi today became the 1st Indian political figure to lead a party for 50 years. Elected as DMK chief on this day (July 27) in the year 1969, the 94-year-old leader has served as the Chief Minister of Tamil Nadu five times. Lok Sabha today passed the Trafficking of Persons (Prevention, Protection and Rehabilitation) Bill, 2018. This bill calls for punishment ranging from 10 years of imprisonment and a fine of not less than ₹1 lakh to offenders. A Museum dedicated to all former and future Prime Ministers will be built at Delhi's Teen Murti Bhavan, which served as Jawaharlal Nehru's official residence as PM until his death in office. The Chief Minister of Odisha, Naveen Patnaik launched the 'Green Mahanadi Mission'. Objective of Green Mahanadi Mission : To stop soil erosion on river banks and recharge the groundwater reserve. Canada's smartARM has won Microsoft's global competition Imagine Cup 2018 for creating an affordable, robotic arm prosthetic. As part of their winnings, smartARM received ₹58 lakh, a mentoring session with CEO Satya Nadella, and ₹34.5-lakh Azure grant. Team iCry2Talk of Greece earned second place with a low-cost interface that translates a baby's cry in a text or voice message. The Ministry of Finance has extended the Deadline for filing of income tax returns to August 31, 2018, for categories of taxpayers who were to file their returns by July 31. Note : Until last assessment year, there was no penalty for filing belated income tax returns, but a penalty up to ₹10,000 is applicable this year onwards. Venezuela is going to remove five zeroes from its bolivar currency rather than the three zeroes originally planned. The announcement comes two days after the International Monetary Fund (IMF) projected that Venezuela's inflation could top 1,000,000% this year. Australian investment bank Macquarie Group today appointed Shemara Wikramanayake as it's new Chief Execuitive Officer (CEO). With this, the the 56 year old will become the group's first female CEO. 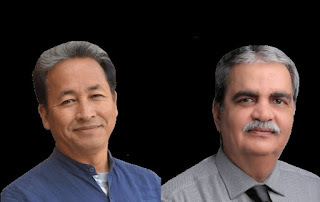 Two Indians Bharat Vatwani and Sonam Wangchuk are among the winners of this year's Ramon Magsaysay Award 2018, regarded as the Asian version of the Nobel Prize. Bharat Vatwani is a psychiatrist who works for mentally-ill people living on the streets. Sonam Wangchuk is known for his reforms in the education sector in Ladakh, started a movement to help poor village students clear examinations. Indian Women's Compound Archery Team created history by becoming the World No. 1. The team, which comprises of V Jyothi Surekha, Trisha Deb, P Lily Chanu, Muskan Kirar, Divya Dhayal, and Madhumita, reached the top spot with 342.6 points leading Chinese Taipei team by six points. The Sports Ministry has postponed the National Sports Day to September 25, 2018. Important Note : Every year, the Sports Day is traditionally celebrated on 29th August. But this year, with the Asian Games going on, the ministry has decided to postpone the event. The Asian Games are scheduled to be held from August 18-September 2. Hence the National Sports Day will be held on September 25.